Multiple Game Modes: Each of the three levels I created for the Toybox Hub had a different gametype and required me to keep my mind open and flexible. Designing a 2D Sidescrolling Brawler is very different than designing for a 3D Randomizing Platformer or 3rd person arena shooter. Fun and Balanced: My responsibilities on the game included working on weapon balance and the costs of items, powerups, and their upgrades. Modular Design: As a Toybox level, my directive was to make a level that a player could use with the tools available to them. I had to push the envelope and think of how to utilize the new tools in addition to the older tools in new ways. Such a restraint was a challenge that made me reevaluate my thinking processes constantly and I believe helped me make the best levels that I could. Disney Infinity is an action-adventure game with physical toys, open world creation and story-driven gameplay. Characters, playsets and other features are brought into the game using figurines and discs with the included Infinity Base. There are two main modes in this game: Play Set and Toy Box. Each playset is essentially a self-contained world with its own gameplay, based on a specific film or series with recognizable characters and storylines. 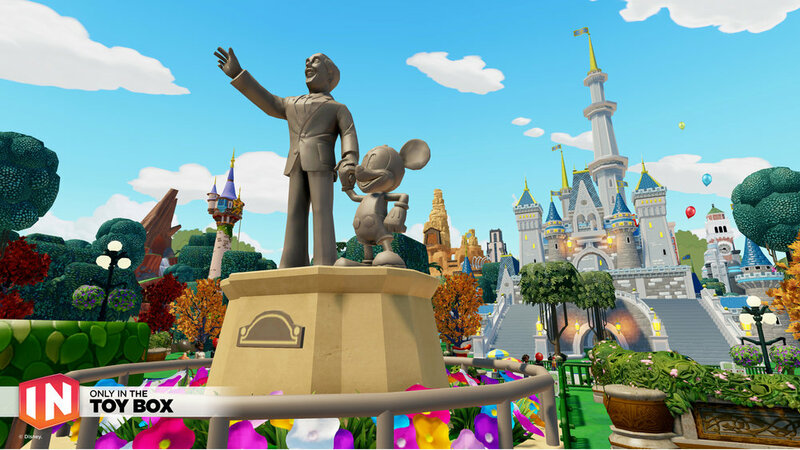 Characters from one world cannot enter into another world, but players can put any characters together in Toy Box mode. Toy Box is a sandbox mode that players can fully customize and explore. As noted above, the levels designed for the Toybox Hub are levels that are supposed to give players an idea of what is possible with the new tools that are available in Infinity 3.0 and new functions some of the old ones now have. Not only did we have to make a fun level, we had to do it in a way that a player could deconstruct and be inspired by.